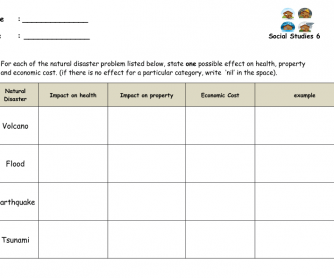 The first worsheet is about natural disaster problems listed, state one possible effect on health, property and economic cost. (If there is no effect for a particular category). The second worksheet is just the blank table. 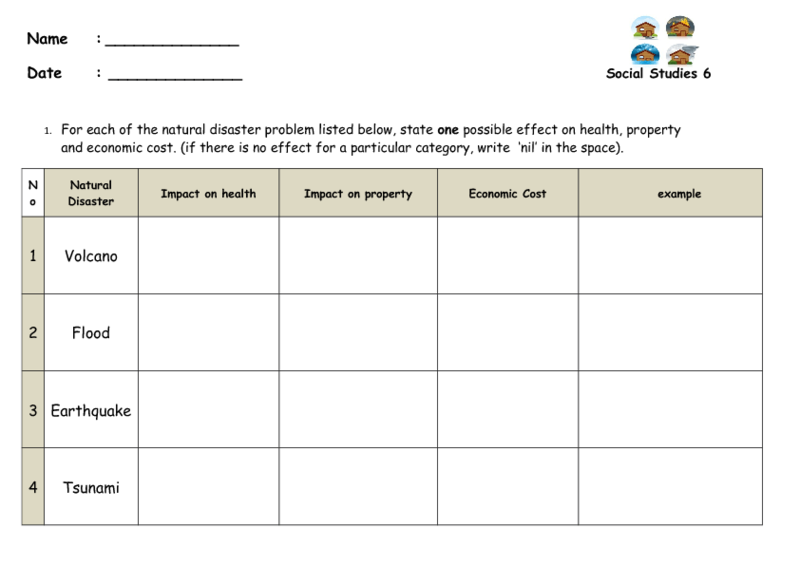 Students must complete the table and describe briefly how each of the items listed may effect people, and may be affected by people.